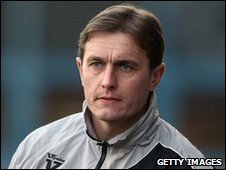 Relegation-threatened Barnet have sacked manager Ian Hendon after just one year at the helm. Hendon's predecessor Paul Fairclough has been placed in charge for the rest of the season while managerial adviser Peter Shreeves has also been released. 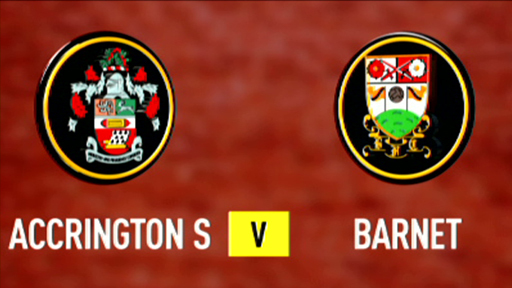 The Bees still need two points from their last two games to ensure survival in League Two. First-team coach Lee Harrison and physio Mark Stein have also had their contracts terminated early. Barnet have only won four and drawn four of their 22 games this year. Their 1-0 defeat at Accrington on Tuesday was the Bees' fifth successive loss. Deckchair on the Titanic anyone? Barnet chairman Tony Kleanthous told the club website: "I have supported Ian throughout and given him every chance. "I take full responsibility for appointing him and also perhaps for not taking action sooner. "Barnet simply cannot afford relegation and, after considering several options, we are turning to Paul Fairclough, who achieves good results for the England C side, has experience and knows the players." Hendon took charge at Underhill in a caretaker role at the start of 2009 and enjoyed an initial run of one defeat in 11 games. That saw the Bees pull away from the League Two relegation zone and he was duly rewarded with a two-year contract. The former skipper started this season well and early results saw them top the table in September but their form fell away badly soon after. Former manager Shreeves was brought back to help Hendon at the end of January but had little effect. "Things have fallen away and, although we brought in Peter Shreeves to help him, results have not improved and attendances have dipped," Kleanthous said. "Ian is a wholehearted, hard-working guy who was a great captain for this club. "I am sure that, given the chance, he will make a very good manager," he added. New boss Fairclough has insisted on a clean sweep on his arrival so Harrison, whose playing contract expires at the end of June, and Stein, whose deal as the physio finished at the end of the season, have been shown the door.